Exercise Joint Warrior hit its halfway point over the weekend, and shows no sign of letting up. 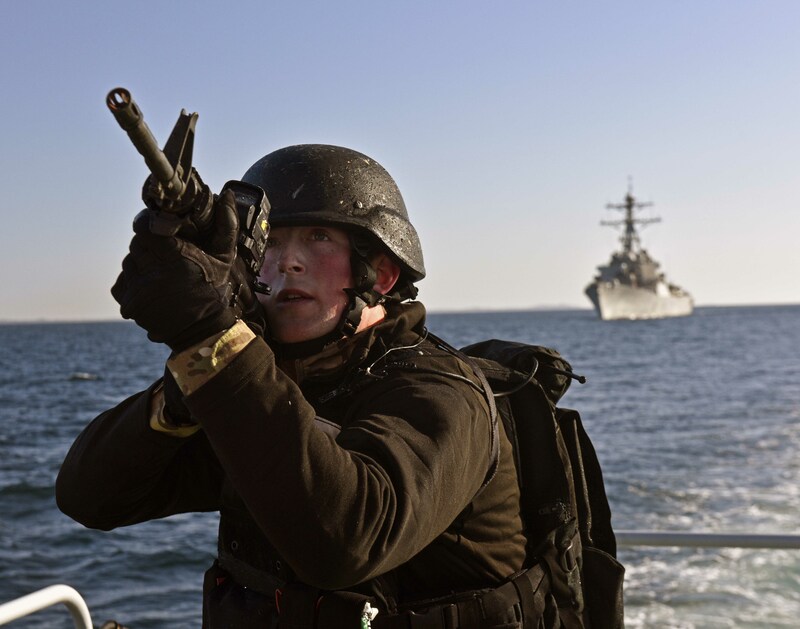 Plenty of challenges, from mine countermeasures to subhunting and amphibious assault, still lay ahead for the NATO and allied ships in one of Europe’s largest military exercises, led by the United Kingdom. And they’re not the only ones paying attention. News reports say a number of Russian ships have taken position on the periphery, and military inspectors from Moscow are keeping close watch. And with good reason: NATO nations have touted this as a show of strength to deter Russian aggression, and there has been plenty of flexing. More than 12,000 warfighters from 15 NATO countries and partners are involved. There are roughly 60 warships and submarines, to include destroyers Donald Cook and Porter, cruisers Vicksburg and Anzio, dry cargo ship Medgar Evers, and elements from Patrol and Reconnaissance Wing 11 and Helicopter Maritime Strike Squadron 48. Flight ops are expected to escalate in the coming week for more than 100 aircraft. The place to be is RAF Lossiemouth, in Moray, Scotland. Celebrating its 75th anniversary, the station is hosting air warriors from Canada, Germany, France, and the United States, and a wide array of airframes ranging from the P-8 Poseidon and P-3 Orion to British Tornados and Eurofighter Typhoons. Matters have been a little more real for the Typhoons, which were launched last week when Russian bear bombers flew too close to United Kingdom airspace in North East Scotland.